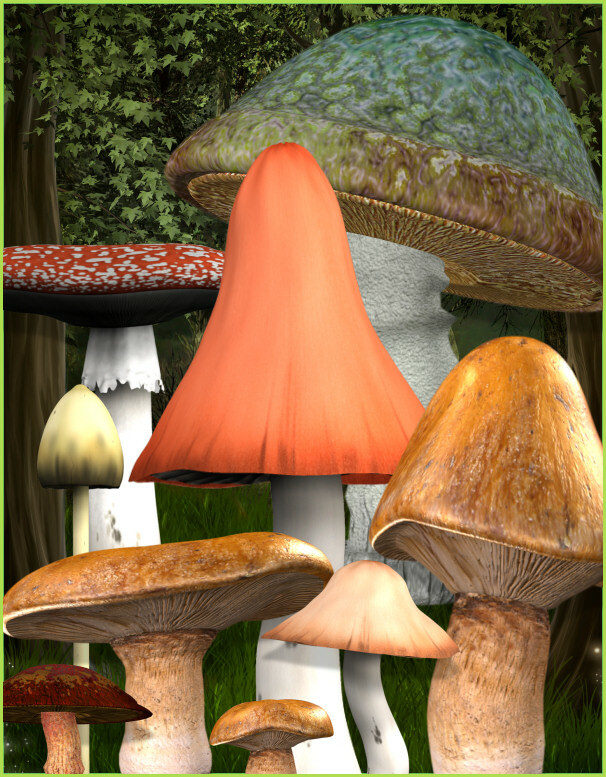 All types of mushrooms for your fantasy or woodland designs. These mushrooms have been reduced. The actual images have no drop shadows. Build a fantasy scene with these realistic mushroom tubes. 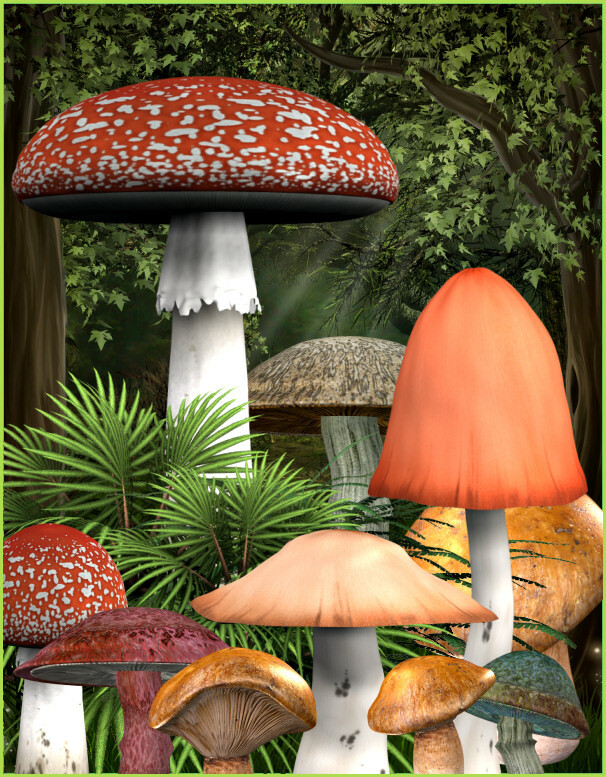 Mushroom Tubes, a large collection of mushrooms in various sizes, shapes, and colors for your artistic scene building. They can also be used for an embellishment for all kinds of designs. These were from the Single tubes on the old site. I converted them into PNG files,and repackaged them. They’re so useful. You wouldn’t want to be without them. I know that I’ve used them often through the years and still use them frequently in my own artwork. There are 21 royalty free, high-quality clipart PNG images in this package. All of these images (except the background) have transparent backgrounds making it easy for you to use them as tubes or nozzles–or merely to drop into your design. The size of these images varies greatly. On average, they’re approximately 800 X 800 pixels. All are 300 DPI, making them great for print projects. Perfect for web design, template design, graphic design, t-shirt design, candy wrappers, scrapbook design, print transfers, DIY crafts, card making, embroidery designs, fabric blocks, address labels, business cards, newsletters, stationery, invitations, banners, crafts you print, paper projects, and more. Please read my terms to learn more. This package is one zip file, which is about 8 MB.